N.B. : Contains minor additions to the published version. On April 14, 2008, Riad Elsolh Hamad, 55, left his family's apartment in Austin, Texas, to get some prescription drugs. 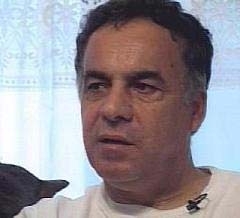 The immigrant from Lebanon and middle school computer teacher never returned home. Three days later, the police found his body, bound with tape, floating in nearby Lady Bird Lake, and concluded that "all signs indicate this may have been a suicide." Riad Hamad, 55, a suicide in Lady Bird Lake, Austin, Texas. His family indicated that he had been under stress lately and even suicidal. And with good reason: the Federal Bureau of Investigation along with the Internal Revenue Service had searched his house on February 27, 2008, when the FBI declared him a "person of interest" in a criminal investigation. Despite this cloud around the dead man, local news outlets reported nothing but kind words and high praise for him. After Hamad's family issued a statement describing Riad as a "peace activist who worked tirelessly on behalf of those less fortunate than him and was loved and admired by many members of the local, as well as international community," the press duly picked up on this moniker and regularly called him a "peace activist"
Television station KVUE quoted Joshua Howell, assistant manager at the office where Hamad had a postal box, recalling him as "always in a good mood. Never upset. Never even heard him say a harsh word about anybody." The principal at the school where he taught sent a letter to students' parents calling Hamad "a longtime and valued" member of the faculty whose "love and passion for education touched us all." At Hamad's memorial service, retired Episcopal Priest Edward M Hartwell praised "his humanitarian work to help the children of Palestine [as] some of the most creative and effective work that I know of." Hamad himself boasted of his peaceable approach to politics: "All of our work is very transparent. We don't work with any militant group or violent group, or anybody with a militant affiliation." That was the Riad Hamad praised by family, friends, admirers, and even himself. But Hamad had another side, the one that brought the FBI to search his house, that got him fired from Austin Community College for "making racist slurs and sexist jokes in the classroom," and that made him a foul and unwelcome presence in my life. Thanks to the recent testimony by a former ally of Hamad who has turned against him, several years later, we now know something approaching his full story. The first of many unwelcome communications from Riad Hamad. His was a pro se summons, meaning that Hamad, a non-lawyer, had filled it out by himself and was representing himself – i.e., it cost him next to nothing to sue one and all. Hamad charged each of us with 21 offences: libel and slander, malicious libel, malicious slander, defamation of character, defamation of character with intent to cause mental anguish, libeling and slandering a business name, defamation through fraud of a business name, interference with a business contract, tortious interference with a business contract, conspiracy to interfere with a business contract, interference with interstate commerce, interference with Internet commerce, conspiracy to interfere with Internet commerce, intentional infliction of mental anguish with the intent to injure, invasion of privacy, fraud, negligence, gross negligence, disparagement of a business name, disparagement of business products, and dilution of a business name. In compensation for this long list of alleged abuses, Hamad demanded from his many defendants US$5 million in compensatory damages, $10 million for his loss of income, and $50 million in exemplary and punitive damages. Nor was that all: he sought a permanent injunction against our calling his business an "Islamic charity" or he personally a "Muslim fundamentalist." He wanted a Department of Justice investigation into us for "criminal and racketeering work as lobbyists for a foreign country [i.e., Israel] without the proper permits and licenses." He also insisted on public apologies by us in ten media outlets chosen by him, as well as payment for his court costs and "any and all other relief that Plaintiff might show that he is entitled to in a jury trial." Document the "Religious affiliation of members of the board of CSPC, its affiliates and editors of Frontpagemag.org." Provide a "Blood and urine sample of David Horowitz ... to identify his ethnicity and religious affiliations." "Identify any and all staff of the Israeli embassy that David Horowitz and CSPC are associated with, amounts of money paid for their services by the Israeli embassy." Answer whether "David Horowitz is a devout Jews [sic] and observes the Sabbath." Answer whether "David Horowitz eats pork and violates Jewish traditions." Answer whether "David Horowitz is not a Semite and pretends to be Jewish to gain sympathy for his views and make money." That's it. I quoted 15 words from someone who mentioned someone who worked for Hamad's organization. For this glancing reference, my pro-rated share of payments to Hamad would come to my share of at least $65 million, or about a million dollars per word. The judges rewarded, almost without exception, entries that featured fierce and violent hatred of Israel. The winning picture features a fire, in the shape of a map of Israel and the Palestinian Authority, consuming the Star of David with the word "Israel" written inside the flag. Another entry depicted a Palestinian flag dropping flames on an Israeli flag and burning Israelis standing next to it. Such activities serve only to advance a culture of violence and hatred. In brief, PCWF is as crude and hate-mongering as its leader. First, this Court lacks personal jurisdiction over Pipes and MEF. Neither Pennsylvania defendant has had any contact with Texas that would establish either general or specific jurisdiction. Second, even if the Court had jurisdiction, plaintiff himself admits that his defamation claim is barred by the one-year statute of limitations because any alleged publication occurred "as late as July 2004." Third, plaintiff has not pled facts sufficient to allege that Pipes and MEF published any defamatory statements about him. Indeed, he cannot do so: Neither defendant has ever written a word about him or engaged in any action that would justify plaintiff's hauling them into a Texas court. My motion also noted that Hamad is a pro se plaintiff with a history of filing what one judgment against him (Hamad v. Austin Community College) called "patently frivolous" litigation efforts that "repeatedly abuse the legal system." 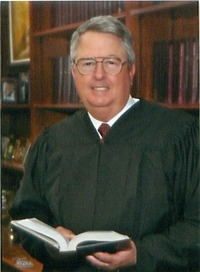 Judge Sam Sparks of the Western District of Texas slammed Hamad's "unintelligible morass of vitriolic accusations." Three days before this motion to dismiss, Judge Sam Sparks of the Western District of Texas had already dismissed with prejudice Hamad's case against David Horowitz. On July 25, he dismissed the case against me and later awarded me court costs. For good measure, Sparks called Hamad a litigant with "a history in this Court of filing lawsuits without merit for the purpose of harassment and making outrageous allegations." Undaunted by his failure to gain any legal traction, Hamad appealed. This prompted Judge Sparks to issue an even more vehement order on September 6 in which he characterized Hamad's complaints as espousing "no legal theory for which recovery can be made against any of the multitude of defendants sued in this case" and dismissed his pleadings on the grounds that they were "not filed for any purpose and simply harass and cause unnecessary delay or needless increase in the cost of litigation." Sparks again granted my motion to dismiss, agreeing with all three of my claims, ruling that the court cannot exercise jurisdiction over the Middle East Forum or myself (because of our lack of connections to Texas); that Hamad filed after the statute of limitations had expired; and that I never made defamatory statements concerning Riad Hamad. He also ordered Hamad to pay me a $1,000 penalty. are engaged in criminal activities and fraud upon the public by collecting donations amounting to tens of millions of dollars. The donations are being used to fund illegal activities in the United States and Israel and with the knowledge of the government of the United States and the judicial branch. Four days later, Hamad sent out an appeal to his mailing list, stating that "closely linked" websites "are using false information and collection donations … to attack and discredit Arabs, Muslims" and asking for at least one thousand people to call the office for internet crimes belonging to the attorney general of Illinois. Plaintiff Riad Elsolh Hamad first filed this wholly frivolous claim on April 13, 2006. Since that time, his "Petition" has gone through five revisions. None of the five Amended Petitions was authorized by the Federal Rules or leave of this Court, and not one version of Hamad's complaint states any claim for which relief can be granted under any law of the United States or the State of Texas against any defendant. The Court dismissed Hamad's complaint with prejudice in its second incarnation in an Order dated June 26, 2006. Nevertheless, Hamad has continued to file Amended Petitions presenting claims for relief identical to the ones dismissed in the Second Amended Petition. Each Amended Petition merely drags yet another group of defendants into the same unintelligible morass of vitriolic accusations for which no basis in law has ever been established. Moreover, Hamad continues to name dismissed parties as defendants in his repetitive pleadings. The next fourteen months saw several more rounds of the same: Hamad appealing and all the judges turning down every aspect of every effort of his, culminating with a March 12, 2008, judgment by the 5th Circuit Court of Appeals slamming Hamad for his "ten year history of filing frivolous suits in this court." The appeals court upped the award to me to $32,944.50 in attorney's fees. As Gerald Steinberg of NGO Monitor noted, Hamad's lawsuit "was a clear attempt to use the courts and intimidation to prevent independent analysis and exposure of the incitement by anti-Israel NGOs." Brandon Darby made the difficult but heroic move from Leftist radical to informant. Hamad had approached me and shared that he had been able to skim off money [from PCWF] that he intended sneak to Palestinian comrades in Israel. I asked him why he needed to sneak anything when he was able to send funds legally. He responded with a detailed analysis of all the ways suicide bombers could get through checkpoints and achieve their goals. I declined and he told me that I had fallen back into my white privilege, but would come back to the revolution soon. This talk of violence, Darby reports, caused him to rethink his relationship with Hamad. "I couldn't sleep and I debated within myself if I should go to the FBI." Learning from another left-wing activist about Hamad's plans to set up "a fake business to help Hamad funnel money for Palestinians" then nudged Darby to confront Hamad. The two met for coffee. On hearing of Darby's disapproval, "Hamad responded by saying it would be good for white people to get caught in the war on terror and that people would limit what the government could do if the war on terror had whites in Guantanamo instead of just Arabs." This settled matters. Darby agonized over his past actions – "wondering if my previous support and efforts for the Palestinian Children's Welfare Fund meant I had blood on my hands" – and resolved to stop Hamad. "I ended up meeting with the FBI. They were kind and gracious. Hamad and the Palestinian Children's Welfare Fund were raided." 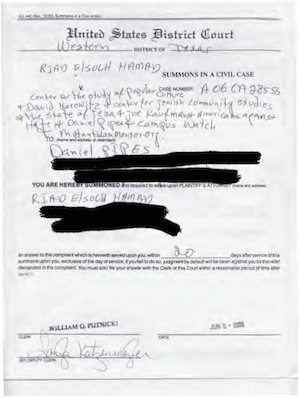 RIAD ELSOLH HAMAD failed to file his federal income tax returns for the years 1999 through 2003 and 2005, evaded payment of his federal income taxes for the years 1999 through 2006, and is engaged in preparing false documents used to obtain federally subsidized loan from various University of Texas campuses. The affidavit will show that HAMAD earned taxable income from the Austin Independent School District (AISD). HAMAD also runs/operates the Palestinian Children's Welfare Fund (PCWF) which he claims raises money for the children of Palestine. HAMAD sends large amounts of money to the Middle East and/or to charities that forward the funds to the Middle East. The disposition of these funds is unknown at this time, A large amount of these "donated" funds have also been traced into various stock accounts controlled by Riad Hamad and/or his son Abdullah Hamad. An investigator with the Internal Revenue Service put the last part more bluntly: "Riad Hamad, with the assistance of his son, Abdullah Hamad, his ex-wife, Diana Hamad, and his daughter, Rita Hamad, are using the 'donated funds' for personal use and not paying federal income taxes on these funds." Lacking a news account, here is how Hamad himself reported the raid on his house: a dozen federal agents, armed with a search warrant based on probable cause to investigate wire fraud, bank fraud and money laundering, "searched every nook and cranny" of his apartment and took away "more than forty boxes of papers, files, computers and CDs." I heard from Hamad one last time. He called me and said it was "just a matter of time." I asked what he meant. He told me of the raids and said they had taken all of his documents, and that I would know soon. He said he had to go and he did. His body was found in Austin, TX in Lady Bird Lake a few days later. He apparently chose not to face the consequences of his actions. When the body was removed from the lake, tape was found around the eyes, and the hands and legs were loosely bound. The bindings of his hands and legs and placement of the tape were consistent with Hamad having done this to himself. Detectives know that Hamad walked from his vehicle to the water on his own based on evidence retrieved from the scene. At this time, the Austin Police Department does not suspect foul play was involved. Witnesses and family members have confirmed with police that Hamad had extreme stressors in his life. This incident is still an ongoing investigation, but all signs indicate this may have been a suicide. According to the preliminary results from the Medical Examiner's Office there were no signs of trauma to the body or signs of a struggle. Even Paul Larudee, Hamad's colleague and the last known person to speak to Hamad before his death, says that Hamad "did take his own life but he took it with a view of fueling the speculation that has in fact accompanied his death." Translation: He wanted it to appear like a hit job. Despite his skepticism about Hamad's demise, Larudee insists "I still think he was a hero." The Islamic Center of Greater Austin's Ibrahim Dremali claimed "a barbaric act" killed Hamad. Palestinian extremists, Islamists, leftists, and assorted conspiracy theorists accepted Hamad's fakery. 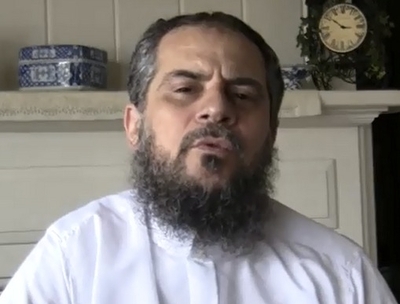 According to Ibrahim Dremali of the Islamic Center of Greater Austin, who says after an autopsy he washed Hamad's body, which was "cut all from the right shoulder all the way to the stomach, and from the left shoulder all the way to the stomach again, and from the stomach all the way to the bladder, … from all the back of his skull is completely cut, is empty completely, empty. … His wrists were all slit open and cut. … His eyes actually dropped all the way down. … It is a barbaric act. … Like somebody is eating the body. … This is a message for all Muslims." Dremali said it appeared as "something in the jungle, an animal attacking another animal." Kurt Nimmo, a prominent conspiracy theorist, asked "Is it possible a neocon hit team or as likely a Mossad 'bayonet' team took out the school teacher Riad Hamad?" Radio host Alex Jones and others spoke ominously of Israeli hit teams surveilling Hamad's house. Some even accused "sociopathic FBI informant Brandon Darby" of killing Hamad. A Twitter site (riad_hamad) keeps these theories alive almost five years later. A 10 inch vertical scar is in the lateral aspect of the right thigh. There are no tattoos. The organs are normally developed and are in their normal locations. The diaphragms are intact. There is no fluid accumulation in the pleural cavities or the pericardial sac. There is no fluid accumulation in the peritoneal cavity. There are no pleural adhesions or abdominal adhesions. No fractures of the clavicles, sternum, ribs, vertebrae, pelvis or extremities are detected. Dolinak concluded that he saw "No evidence of traumatic injury," that Hamad "died as the result of drowning." Hamad died as a he lived, in a miasma of hate and duplicity. Darby informs me that "Riad publicly claimed to be a Christian but when he died it became evident that he had been lying and was actually a Muslim." We, the victims of his lurid and manic lawsuits never saw a dime of the money he owed us. His embezzlement and skipping on taxes having caught up with him, he perpetrated his final and grandest fraud – a pretend-murder. Not surprisingly, his venomous Palestine Children's Welfare Fund is now defunct, reduced to a homepage plaintively stating that "PCWF website coming again soon to carry on some of the great work of Riad Hamad." The Palestine Children's Welfare Fund's defunct website. Some observations about Hamad: First, the lofty praise for this wretch would make one think him a decent man, pointing to how political sympathy creates blinders. Second, even as he lived in the civilized quiet of Austin, Texas, Hamad contaminated his adopted home by importing political nihilism from the Middle East. Third, I may be out nearly $33,000 in court costs, but it was not all lost; Hamad's legal assault inspired me to expose this malign excrescence of anti-Zionism. Finally, if one truly is judged by the quality of one's opponents, we who defend Israel are thriving. Most Muslim immigrants are law-abiding and constructive citizens in the West. But Hamad's case fits into a persistent pattern of immigrants who bring with them the bad habits imbued by the tyrannical politics and radical ideologies. Combining Islamic supremacism with nihilist disdain, they despise all that is non-Muslim, import a mélange of extremist ideas, and feel free of moral constraints. Consequently, they engage disproportionately in antisocial behavior, criminal activities, and terrorism. Reluctantly, I concluded almost a decade ago that "Muslim visitors and immigrants must undergo additional background checks." I reiterate this now, lest more Riad Hamads be allowed in. Mr. Pipes (www.DanielPipes.org) is president of the Middle East Forum. © All rights reserved by Daniel Pipes, 2012. Nov. 1, 2012 update: Among the interesting comments on this piece, Lee Kaplan discusses Paul Larudee at "More info on Paul LaRudee and PCWF from StoptheISM.com" and Phil Mond explains autopsy techniques at "No reason to mistrust Dremali's account." Nov. 7, 2012 update: Two reports came in today on Hamad's search for a boat for the Free Gaza Movement. (1) See the comment by Gloria Stewart, who in addition confirms that he was not a convert to Christianity. (2) Lee Kaplan of StoptheISM.com (who has separately commented on this article) has provided me with a transcript of a talk in Berkeley, California, on Oct. 18, 2012, by Free Gaza Movement co-founder Greta Berlin (on whom, see here, and especially the Oct. 10, 2012, update). In it, Berlin tells about the genesis of the idea to take sailing a boat to Gaza for use in propaganda against Israel and Hamad's failed role in providing that boat. We gathered about 5 or 6 people with us - Paul Larudee from the Bay Area up here, 2 young Australian activists and a man by the name of Riad Hamad. Have you all heard about Riad? Some of you do know him. Riad was an amazing activist - Lebanese. He lived in Austin Texas. So the 5 of us had put this Free Gaza Movement together. … I knew Riad from when he and I were marching around Bush's ranch in 2003 and he's busy carrying a big Lebanese flag and a Palestinian flag. And he and I became instant friends. So, he said, look - my father used to be part of the Pepsi Cola business. I know how to buy a boat. So, I will buy a boat and I will make sure you're able to get to Gaza. So, we, originally we were going to go in May 2008. In February 2008 we sent him $25,000. He matched it with his $25,000. Riad was the kind of man, that if a young man from Gaza wrote to him - and he knew thousands of kids - and the little kid said, 'My red bike has been bombed by the Israeli military. I have no red bike anymore. Is there any way that you can get me a red bike? And 3 days later there was a red bike in front of this child's house. And that was Riad. But he had absolutely no idea how to design a spreadsheet. So, the money would come in and the money would go out and the money would go out and the money would come in and he just figured that was fine. So, when we sent the $25,000 and he matched it - that was in February, at the end of February, the next day the IRS and the FBI raided his house. The next day they took all of our money, they served him with papers and they said, "You and your children are going to be served with papers that you have dealt with interstate trafficking of money." Riad didn't care what they did to him. He used to have a big sign in his front yard that said, "I am an Arab. He had a sign in his car that said, 'I am an Arab', in Arabic and English. But when they went after his daughter and they went after his son, he was in despair. He was so sure that he had ruined his children. Which is one way of course that many of us get blackmailed. If we want to continue to do something, somebody goes after our children. He was determined that the only thing that he could do to save his children was to commit suicide. And on April 14 he drowned himself in the lake in Austin, Texas. He drowned himself in Lady Bird Lake in Austin, Texas. And we were left losing our friend, losing our money, losing any contact with the boat, and in total despair over losing this wonderful man who had been driven to suicide. Comments: (1) Note the mention of Paul Larudee, whom I quoted in my article. (2) That $25,000 presumably came from funds donated to the PCWF. (3) While Berlin "became instant friends" with Hamad and calls him "an amazing activist," she (like Larudee) does not buy into the murder scenario. (4) She ignores Hamad's history of financial irregularities, attributing these to innocent incompetence ("he had absolutely no idea how to design a spreadsheet"); this in turn conveniently allows her to blame the IRS and FBI for driving him to suicide. (5) Berlin makes the nonsensical argument that Hamad took his life to help his children; how, precisely, could that help them? May 30, 2013 update: According to the TruTV website, Hamad's widow believes that he did not commit suicide but was killed for political reasons. 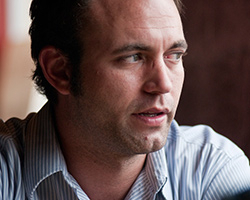 Sep. 11, 2013 update: Brandon Darby is the topic of Informant, a documentary that focuses on his role preventing a bomb being prepared to disrupt the Republican National Convention in 2008. Sep. 30, 2013 update: For the trailer and an outline of the place of the Hamad story in Informant, see Lisa Derrick's review at FireDogLake.com. Feb. 9, 2014 update: The Palestine Children's Welfare Fund website now has a one-page description of the organization that makes no mention of Hamad, though it implicitly refers to his wording and his malign legacy ("The organization … is not connected with any militant or political association of any kind"). Still, it contains an ad for an Islamist organization, KinderUSA. Also, the website needs a bit more work, as its final paragraph contains this mysteriously unrelated statement: "Our parent's association hired their Long Island party bus to get our kids to the prom and their driver was unbelievable and kept an eye on the kids the entire time." From the new PCWF website. Related Topics: Muslims in the United States, Palestinians | Daniel Pipes receive the latest by email: subscribe to the free mef mailing list This text may be reposted or forwarded so long as it is presented as an integral whole with complete and accurate information provided about its author, date, place of publication, and original URL.